Capitalize on Australian Immigration News, Migration Updates! Australia has slowly and steadily pictured itself in the minds of people who are willing to turn their life for the better. This country is located in the southern end of the globe and being isolated from the world, it is often considered as something exotic. The country has richest fauna and flora, and it provides the best living standard, myriad opportunities for growth and development, and a completely dynamic culture that would leave you wondering. 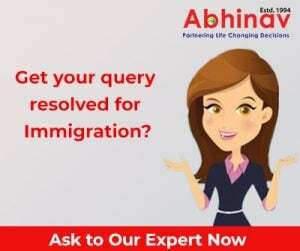 Hence, if you are looking forward for immigration to Australia, then these news and migration updates that you are about to receive in this blog will help you in the best way. Let’s take a quick sneak peak at what the news has in store for immigrants who are looking for immigration to Australia! From this year Oz has further eased immigration to ensure that those sectors in the economy that are facing some tough challenges on account of labor shortage and as a result, the growth and development has reached stagnancy can be checked in the first place. To streamline that, newer policies have begun to flex their muscle from this year. With the introduction of new plans and policies pertaining to immigration, this year as many as 209,000 people would be moving to Australia. Australian immigration news and migration updates section in the Australia Immigration’s official website has announced this. The news is unprecedented and as per Australian Department of Immigration and Border Protection (the DIBP), out of the 209,000 who would opt for movement this year, 90,200 would be redeemed as permanent arrivals, and they would be looking forward to making this country their permanent abode. They would be granted the opportunity to live in the country and work for meeting with its millennium development goals. The news that broke regarding immigration also reveals that this year migration would also be revolving around studies, and out of 2,20,900 temporary arrivals that the country is going to witness this year, 89,200 would be students, and the rest would be categorized under temporary residents using the 457 Visa Class to live for a stipulated period in Down Under. Of the total number of immigrants who would be landing in Australia in 2015 and 2016, 28.6% would be from the UK, Ireland and Wales, from China it would be 23.7% and who would be representing India would stand at 21.2%. Hence, the overall picture is that Asia and Europe would be interested more to move to the immigration hotspot, for work and education. The economy is all set to witness a new twirl of movement and things are looking quite optimistic for the economy. The arrival of immigrants will provide more avenues for growth and development, and those sectors that are facing stagnancy, would be able to overcome the stagnancy and ensure that they can again backfire again with the arrival of skilled workers. Do You Know Canada Express Entry Is A New Online Application Management Structure? Have You Heard Hong Kong Putting On Hold Investor Immigration?